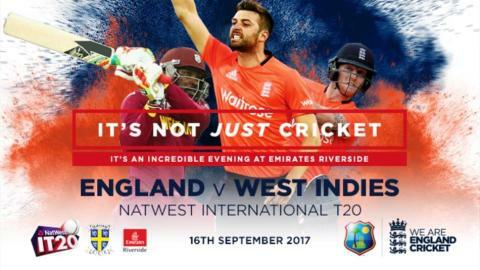 The West Indies return to Chester-le-Street for a hotly awaited rematch of the ICC World T20 Final when they face England on Saturday 16 September at Emirates Riverside. The sides will meet again following their thrilling final in April this year and it’s sure to be a fiery affair. Catch the Angel 21 from Newcastle, Gateshead, Low Fell or Birtley to Chester-le-Street and we’ve extended some journeys to run to the Emirates Riverside. Buses at 3.25pm, 4.40pm and 5.09pm from Newcastle will get you to direct to Emirates Riverside and we’ll have buses to get you home after the game too. Extra Angel 21 buses will depart from Emirates Riverside after the cricket. You can also catch the Coast & Country 78/78A services from Sunderland, Consett and Stanley to Emirates Riverside. Grab yourself a bargain with our Family Ticket to travel all day on our buses. Only £8 when you use discount code 'T20' on the Go North East app. The Family Ticket covers up to two adults and three children under 16 travelling in a group. Minimum of one adult and one child.